In October 1972, a day before his death, Igor Sikorsky dictated a letter to Jerome Lederer of the Flight Safety Foundation in Arlington, Virginia. The brief note thanked Lederer for informing him of a rescue by helicopter of 400 people from the roof of a blazing skyscraper in Sao Paulo, Brazil. Sikorsky admits Lederer’s correspondence was read aloud to him because his eyesight had “failed to such an extent that I can no longer read.” The inventor then dictated a succinct encapsulation of his legacy. “I always believed that the helicopter would be an outstanding vehicle for the greatest variety of lifesaving missions and now, near the close of my life, I have the satisfaction of knowing that this proved to be true,” he wrote. Sophisticated helicopters respond to traffic accidents, medical emergencies, natural disasters and humanitarian crises every day. In our cover story, we describe the current state of the helicopter emergency medical services market, a sector expected to grow in coming years. Six years after Sikorsky’s death, the U.S. Army fielded the first UH-60, which is responsible for ferrying thousands of wounded soldiers from harm’s way to lifesaving medical care. The Black Hawk became one of the most successful rotorcraft programs in history and would lift developer Sikorsky to titan status within the aerospace industry. We write this month of all the Black Hawk has accomplished, how the airframe has evolved since the first one was delivered in October 1978 and what Sikorsky and the Army have planned for the aircraft during its next 50 years of service. Technology has helped helicopters save lives and protect the lives of the pilots and crew who ride in them. 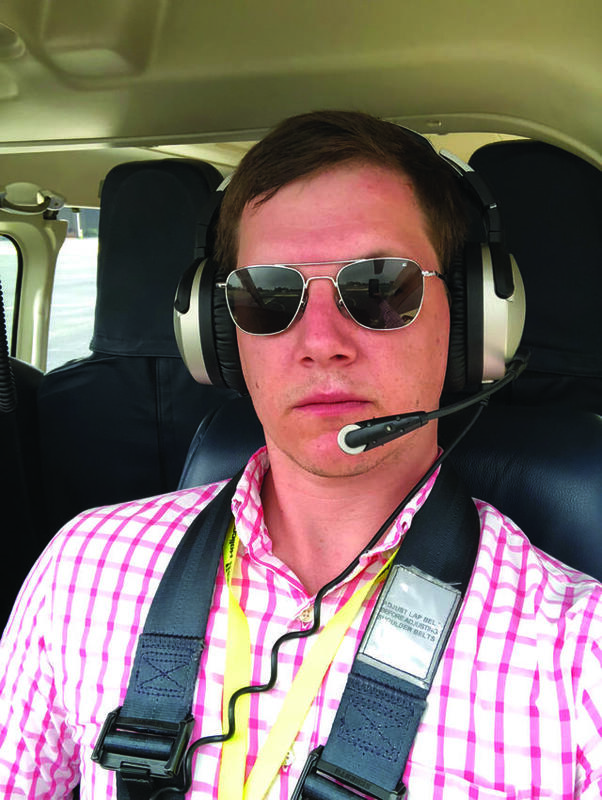 The eternal goal of avionics developers is to lighten the load on pilots and crew by passing dull but critical tasks to machines. In this month’s pilot report, a Sikorsky test pilot profiles the company’s effort to develop a two-, one- or no-pilot helicopter. Experimental Matrix technology acts as a digital co-pilot that can operate an aircraft through complex scenarios while a human pilot focuses on the mission at hand. The technology should eventually make nighttime maritime rescues and other dangerous operational environments, like brownouts, less risky for pilots, crews and passengers. On every continent every day, helicopters help people, but both the military and civil sectors are short of pilots to fly them. A few years ago, it appeared a new generation of light, relatively inexpensive trainers would help meet the demand for new pilots. Now, it seems the industry must work with what it’s got.